The telecom regulator has received positive response for its recent recommendations on 3G spectrum auction scheduled to be held in February. “We are happy that TRAI has taken into consideration the broad requirements for the development of progressive telecommunications eco-system in the country. It is essential that the fundamental resource of spectrum is augmented so as to support this objective, which is common to the government as well as the industry. Overall, we are happy with the approach of the regulator in acknowledging the needs for an emerging mobile broadband network in the country,” says Rajan S. Mathews, Director General, COAI. 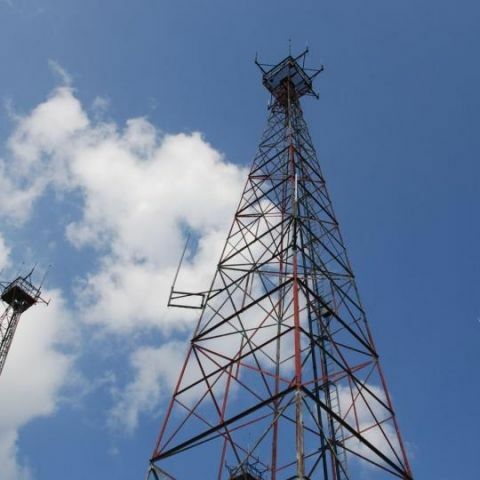 COAI also welcomed the Authority’s gesture in asking the Government to resolve the issue of interference in 2100 MHz spectrum allocated in certain areas. As the operators have not been able to properly roll out services in these service areas, it is depriving the customers of the benefits of 3G services and is becoming a stumbling block in meeting the Government’s objectives on “Digital India” in these areas. Earlier, the TRAI had recommended 22 percent lesser base price for its pan-India 3G spectrum. It had also called for inclusion of 15 MHz of spectrum in the 2100 MHz spectrum to be vacated by Ministry of Defence in the forthcoming auctions. Huawei has announced a partnership with Reliance Communications to offer 2GB of free 3G data on Huawei’s new 3G Wi-Fi dongles & 3G Mi-Fi devices. To avail this benefit, customers must activate the device with a Reliance SIM card account with a dongle FRC (First Recharge) and will get additional 2GB of 3G data access. The two new devices are Mobi-Fi E5220 & Power-Fi E8231 that can connect up to 10 devices simultaneously. “Our partnership with Reliance Communications is an initiative in the direction of connecting more Indians to the Internet highway. We are happy to associate with Reliance as it provides us with an opportunity to leverage the best of experiences offered by their wide and robust 3G network. We are now offering these consumers an opportunity to share the Internet amongs 10 devices in a cost-effective manner,” says P Sanjeev, Sales Director, Huawei Device India. “With this offer, users of Huawei Wi-Fi devices will enjoy hassle-free high-speed 3G connectivity—to browse, watch videos and stream music. Indian Internet-users access the Internet on multiple devices at the same time and Huawei’s Wi-Fi device range will allow these users to enjoy faster 3G speeds for enjoying their favorite content anytime, anywhere,” Mr Gurdeep Singh, CEO, Consumer Business, Reliance Communications. According to the latest figures from COAI, GSM mobile operators had added 82.1 lakh users in November increasing overall subscriber base to 67.02 crore at the month end. The GSM mobile user base was 66.21 crore at the end of October 2014. The GSM subscribers increased by 8.21 million in November 2014 (1.24% increase from previous month), maximum subscribers were added by Airtel (215.46 million), while maximum GSM subscribers for a circle was for UP (E) at 58.85 million.